Hand carved Angels genuine stone in assorted stones Sold by Piece in Mixed Color and Shapes. 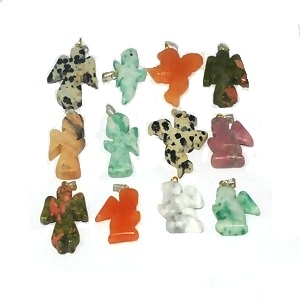 The angels are in a variety of colors, stones and Angel Shapes as shown in the picture. There can be a slight variation between each stone since the Angels are hand made. All measurements are approximate.